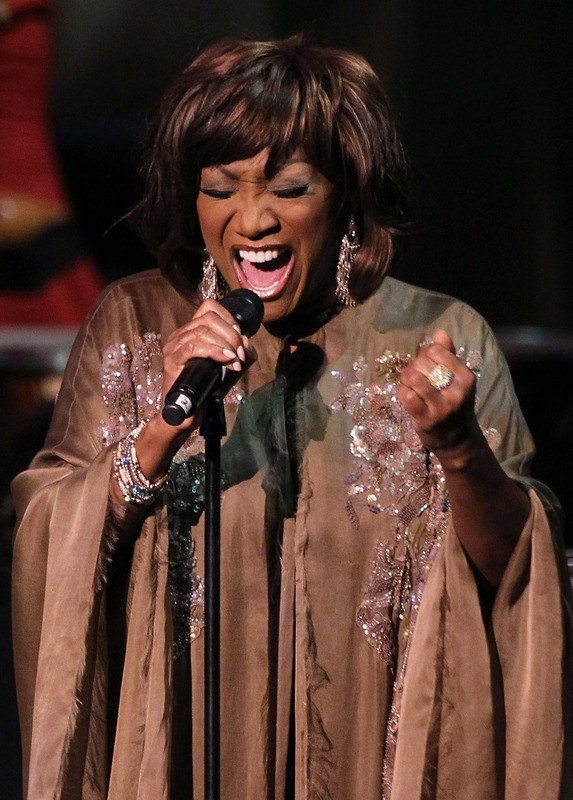 Patti LaBelle Says Today's "Divas" are "Little Heifers Who Can't Sing"
Patti LaBelle says she is not a diva. I — wait, what? Really? I don't understand. Uh. Um. Well, if LaBelle, goddess-diva among mortals, says she isn’t a diva, I guess that means she... isn’t a diva? AUGH NOPE. CAN'T DO IT. DOES NOT COMPUTE. Uttering "is not a diva" after "Patti LaBelle" feels so wrong and unnatural and weird. I don't know if I'll ever get used to saying it. In an interview with PrideSource, LaBelle said, “That word is used so loosely that I don’t even consider myself a diva.” Have we ruined the word "diva" for real divas? Damn. When the interviewer mentioned that the term "diva" used to be respectable, she replied, "Well, for opera singers, and for ladies who earned it, but that was way, way back when." If not a diva, what does LaBelle consider herself? “A woman who sings her heart out and who gives 120 percent.” I like that. I wish there was a word for it, though. You know, for the sake of brevity. If only! Oh my god. Oh my god. PATTI LABELLLE!!!!! GOING FOR THE JUGULAR!!!! That is so salty. SO SALTY. I don't even know what to do with it. There’s a small, awful part of me that is like, Well, if you're going to go there, go all of the way and name names. I know, I KNOW. I’m terrible. Yes, it's for the best that she didn't list any names. Feelings would be hurt, and I don't want that. Plus, I know that if she did rattle off the names of the "little heifers who can't sing" I’d probably have to call out sick for a week. Because it’d overwhelm my entire immune system. Because IT’D BE PATTI LABELLE GIVING ZERO FUCKS. Wait. I shouldn't call Patti LaBelle, Gladys Knight, Aretha Franklin, or Dionne Warwick “divas” anymore?! THEY ARE THE DIVAS. "DIVA" STILL MEANS A LOT TO ME. THIS IS TOO MUCH FOR ME TO PROCESS. MY MIND CAN'T HANDLE THIS. WHAT IS ANYTHING?!?!?!? !